Capella University is also featured in our ranking Top 10 Online Master’s in Education Degrees. Headquartered in Minneapolis, Minnesota, Capella University is an online, for-profit institution of higher learning. The school delivers the majority of its education via online distance learning classes, and it is owned by the Capella Education Company. Capella offers more than 25 certificate programs, 142 undergraduate and graduate specializations, and 1600 online courses. Approximately 36,000 students from 61 other countries and all U.S. states pursue degrees from Capella, with 26 percent seeking a bachelor’s degree, 42 percent seeking a master’s degree, and 29 percent seeking a doctoral degree. An estimated 86 percent of the 1,488 faculty hold doctoral degrees and reside in six countries and 48 states. 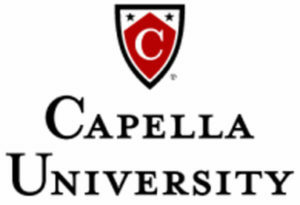 Capella University was established in 1993 as The Graduate School of America by Stephen Shank, former CEO of Tonka, and Dr. Harold Abel, former president of Walden University, Central Michigan University, and Castleton State College. Abel then became the first president of Capella as well. In 2010, The Council for Higher Education Accreditation (CHEA) awarded Capella University and three other universities with the CHEA Award for Outstanding Institutional Practice in Student Learning Outcomes. Capella University offers four different online master’s degrees in education: the Master of Education, the Master of Science in Education, the Master of Science in Education Innovation and Technology, and the Master of Science in Higher Education. All degrees are accredited by the NCATE, ensuring that the school meets standards of quality for its programs and faculty. In addition, Capella offers two online, competency-based formats in the M.Ed. program: FlexPath and GuidedPath. FlexPath is entirely self-paced, and students can complete as many as they want, up to two at the same time, each quarter for one set tuition fee. GuidedPath involves a pre-set path from start to finish, and assignments are due at the end of each week with message-board discussions in the middle of the week. The online 46-quarter-credit Master of Education degree consists of four core courses and six specialization courses. The curriculum provides students with a deep understanding of cultural competency, technology integration, pedagogical methods, and curriculum assessment innovations. Students will learn how to assess student progress, strengthen instruction, leverage the latest technology, reach more students, embrace new findings, and cultivate and grow diversity. Students pursuing the online MS in Education can choose from a number of specializations, including early childhood education studies, early childhood education, curriculum and instruction, instructional design for online learning, English language learning and teaching, training and performance improvement, special education teaching, reading and literacy, leadership in educational administration, or K-12 studies in education. The number of credits required and courses taught for the MS in Education degree will depend on the specialization chosen. Students earning the MS in Education Innovation and Technology degree will learn how to impact their classrooms with technology by developing the skills and knowledge necessary to teach innovative thinking through technology, integrate devices into course plans, and achieve digital transformation. Students may also choose a specialization in this degree such as professional growth and development, personalized learning, instruction in the 1:1 environment, competency-based instruction, or general education technology. Finally, the MS in Higher Education allows students to become experts in post-secondary and adult education by focusing on the needs of diverse learners, education trends, administration, leadership, and learning theory. Program specializations include integrative studies, adult education, and higher education leadership and administration. Depending on the master’s degree in education chosen, students may be eligible to transfer credits from previously attended institutions. Each program, course, and assignment is designed to deliver skills that students can immediately apply for success in the field of education. The FlexPath option is also available for each of these degrees, allowing students to complete their studies at their own pace and on their own time. In addition, faculty and expert staff support students throughout the program to help them meet challenges and reach their long- and short-term goals. Capella University is regionally accredited by the Higher Learning Commission (HLC), and its bachelor’s and graduate-level teacher education programs are accredited by the National Council for Accreditation of Teacher Education (NCATE). Accreditation ensures that every degree offered by the school is respected, recognized, and relevant. Accreditation is an assurance to the public and learners that Capella meets or exceeds quality standards for its fiscal stability, learner services, curriculum, and faculty. In addition, if students have studied at more than one accredited college, accreditation makes it possible for them to transfer credits. In order to be admitted into a master’s degree in education from Capella University, students must hold a bachelor’s degree from an accredited institution. Students must also submit a $50 nonrefundable application fee that covers the cost of transcript requests and evaluations and other administrative expenses. The school requires official transcripts from all previously attended institutions as well as a minimum grade point average (GPA) of 2.3 or better on a 4.0 scale. Students must also complete an Experience and Access Acknowledgement Form that verifies they know what to expect in terms of completing coursework. GMAT and GRE scores are not required for admission. Applicants pursuing the FlexPath Self-Paced Learning option must also demonstrate a minimum GPA of 3.0, although if a student has a lower GPA, he or she may be able to provide additional documentation for review. Capella University takes a straightforward approach in terms of its tuition costs. Students pursuing a Master of Science (MS) in Education will pay $444 per credit, while those seeking a Master of Science in Higher Education or a Master of Science in Education Innovation and Technology will pay $408 or $398 per credit, respectively. Students may also be eligible for financial aid in the form of a federal work-study program, grants, loans, or scholarships. Specifically, graduate students may be entitled to seek aid from Federal Graduate PLUS Loans or Federal Direct Unsubsidized Loans. In order to determine eligibility, students are required to first complete the Free Application for Federal Student Aid (FAFSA). In addition, Capella University is a military-friendly school that offers many assistance programs and benefits such as military tuition discounts and the Yellow Ribbon Program to veterans, active-duty servicemembers, spouses, and their dependents.